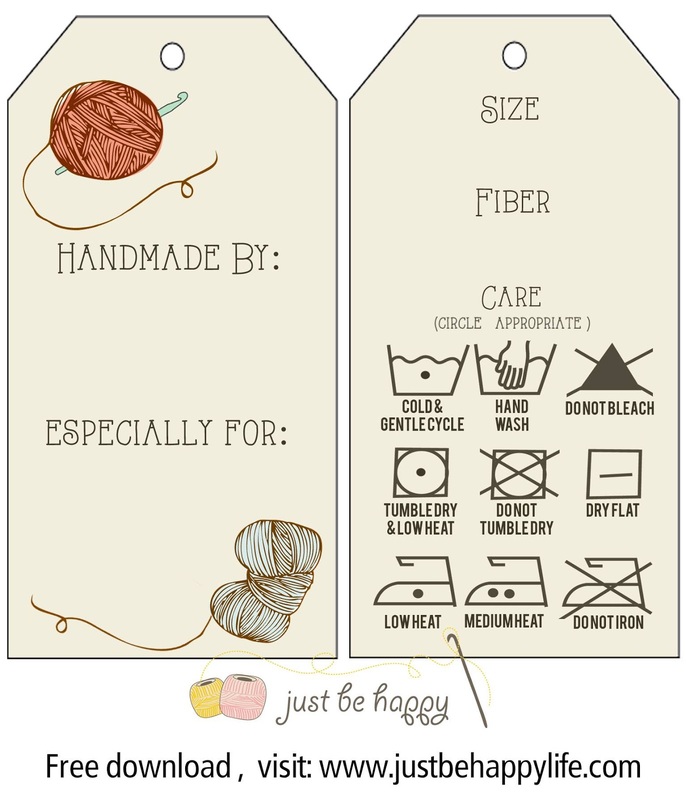 I am so excited to have these tags available for you! On the front you put your name and the recipient's name and on the back, if you choose to make it double sided, you can add the info about your crocheted piece (size, fiber and care instructions). 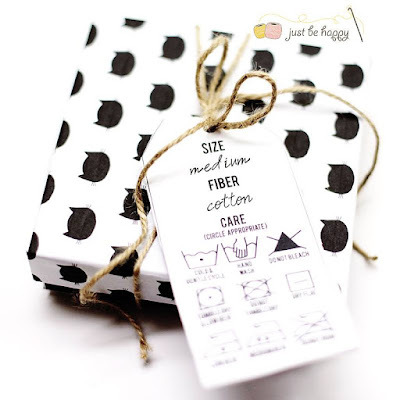 If you want something different, you can download the black and white tags, they are super trendy! Click here to download the tags. P.S: I would like to thank my friend Kamieo, of Kamieo Photography for designing this for me and allowing me to share them with you. Thank you so much! These are just perfect!!! Glad you like them, Rita! I've been looking for something like these but there's just nothing out there that included everything I was looking for.......until now! Thank you so much for sharing your creative abilities! Thank you so much! I love them. Can't wait to get some ink for my printer. Thank you, these are so pretty. Thank you so much! Things are tighter this year so I have done alot more crocheted items. 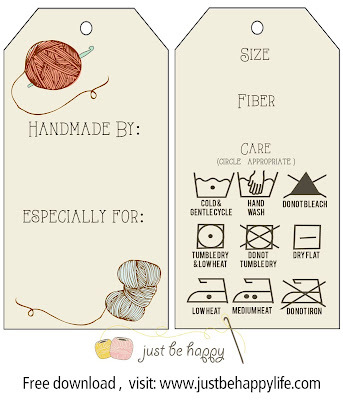 These are super cute and a great tag for homemade items! Crocheted items are precious, I love receiving handmade gifts. I hope your peeps appreciate them, too! Is there a reason the link wouldn't work? It's still working on my end. I'd be happy to email them to you if you provide your e-mail. Good Morning!! I also cannot get the link to work.... would it be alright if you e-mailed them to me also? I donate to Operation Gratitude (Organization that sends care packages to deployed troops.) and the care instructions are so perfect!!!! Thank you so much for providing these. However, I am unable to print them...please help!!!! Linda, I just sent you an email. These are awesome, thank you so much for sharing! I tried to get the link to work a few times and it still doesn't work. Thanks you so much for your help! These are great. Can I use them for items I make to sell please? Thanks for these lovely labels. How can I print them back to back? Thanks! These are perfect! Thanks for sharing them! these are beautiful and so professional looking. Thank you so much for making them available for us -- how very generous of you. This tag design is brilliant! Thanks so much for making them available. Thank you so much; love the washing instructions! !